THE THROES OF CRIME, a collection of 26 short stories by Erik Arneson, is now available in paperback and ebook. All proceeds from The Throes of Crime benefit the James & Jeanne Arneson Memorial Scholarship Fund. 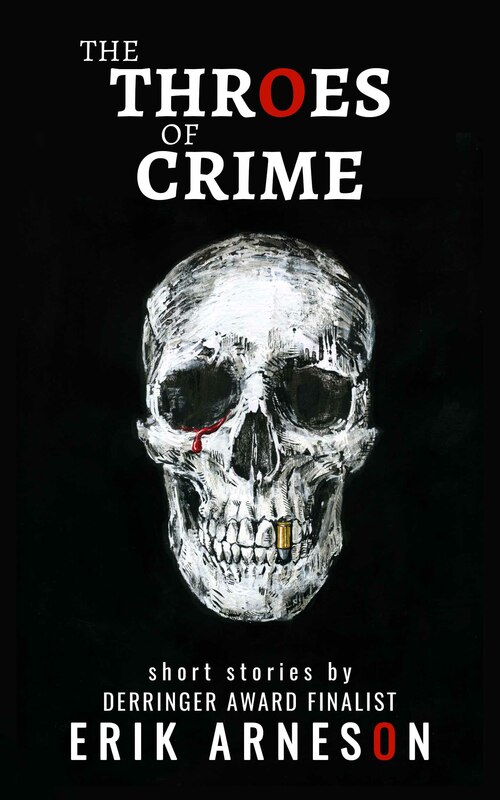 The Throes of Crime includes stories published by Thuglit, Needle, Out of the Gutter Online, Shotgun Honey, Otto Penzler’s Kwik Krimes, Akashic Books’ Mondays Are Murder, and more — plus seven brand new stories never before published anywhere. I hope you enjoy THE THROES OF CRIME!